This section contains Articles written for or by Chen Zheng Lei. Chen Zheng Lei is one of the top three taijiquan practitioners alive today, along with his cousin Chen Xiao Wang and Wang Xian. 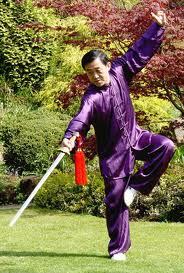 He was Wang Hai Jun's teacher and is widely recognised as the most knowlegeable person about taijiquan alive today. Some of these articles have been re-edited by me to make them readable as the quality of the English in translation was so poor. This has been done with the approval of Chen Zheng Lei through my teacher Wang Hai Jun. Some of these articles have been recently retranslated and are now available in Chen Zheng Lei's recently published book series.